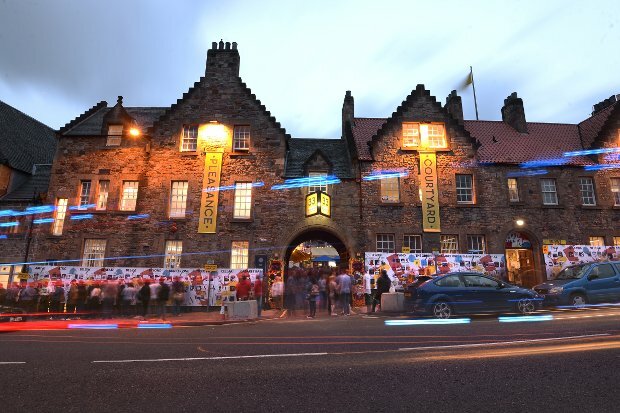 Festival behemoths Pleasance have announced a staggering 126 theatre and comedy acts for Fringe 2018, with even more to be revealed at a later date. Much of Pleasance's theatre offerings this year revisit the past to shed light on these uncertain times. Pants on Fire's adaptation of Ovid's Metamorphoses makes a timely return to the Fringe, as this tale of humanity's connection to nature takes on greater significance in our age of eco-anxiety. Meanwhile, Trump Lear imagines a meeting between the king and the President of the United States in a work of cutting political satire. Others tackle these issues head-on, as Feed explores the underbelly of the Internet in their stylised journey through click-bait culture and fake news, whilst Ladykiller pulls no punches in their evisceration of the gig economy. Pleasance has also announced a new partnership with HighTide, which sees the Pleasance stage works by the emerging companies to have come out of the HighTide Edinburgh Mentoring Scheme. The programme this year includes a heartbreaking exploration into our neurological response to grief in the musical Sparks; a panorama of life rushing through the London Underground in Busking It; and an awkward coming of age story in Songlines by Tallulah Brown, featuring a live soundtrack by TRILLS. There's plenty for the kids as well, with songs and storytelling from The Story Beast: Myths, Monsters & Mayhem and John Hegley: Morning Wordship.A delightful whirl of puppetry takes the stage in Michael Morpurgo's Kensuke's Kingdom, which features a story of shipwreck and primate buffoonery. The tiniest of tykes also can join in the fun with MamaBabaMe, a work of dance, music and physical theatre for children aged 0-3. Pleasance's comedy lineup is a blend of established comics and exciting up-and-comers, from Margaret Thatcher Queen of Soho's fourth Fringe run to the debut of BBC New Comedy Award finalist Sindhu Vee. Gruff Rhys of Welsh psychedelic rock bank Super Furry Animals will also be making his first appearance at the Fringe with his show Resist Phony Encores!, wherein he reflects on stoner culture and how he overcame chronic shyness, as well as performing selections from a musical career spanning four decades. Whilst Natalie Palamides, winner of last year's Edinburgh Comedy Awards' Best Newcomer Award, returns with her uproarious new show Nate. The Pleasance, various venues, 3 – 27 August.